Motorboat & Yachting: Bates Wharf has announced that it will be bringing a Fairline Targa 38 to the 2016 London On-Water Boat Show. 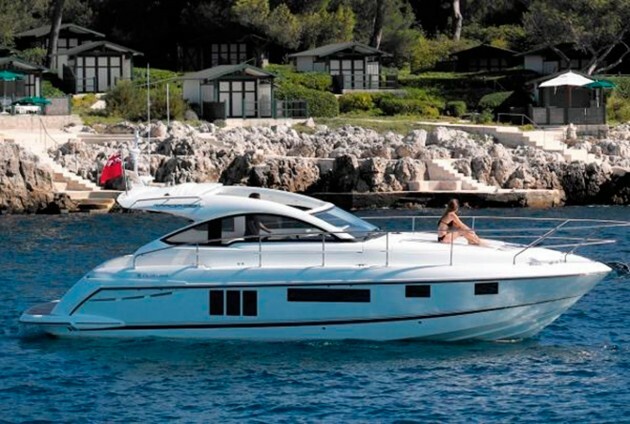 Bates Wharf has signed up for the 2016 London On-Water Boat Show and will display a Fairline Targa 38. The boat show will be in London’s St Katharine Docks from May 4-7 2016 with other exhibitors such as Wessex Marina and Princess Yachts. The presence of Bates Wharf is significant as it will be the first exhibition of a new Fairline model since the company was bought out of administration by new Russian owners last month. The Fairline Targa 38 is the entry-level model in the Fairline Boats collection, and with the largest engine option of twin 400hp Volvo Penta D6 engines fitted, this is the fastest Fairline model ever with a top speed of over 40 knots. Tickets are on sale now for the London On-Water Boat Show 2016 with prices starting from £9 per person.